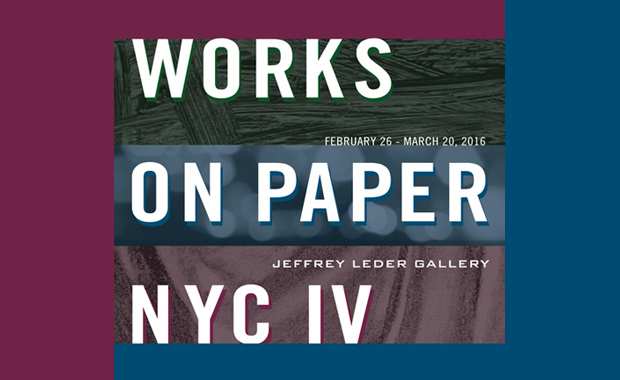 Jeffrey Leder Gallery (JLG) is accepting submission for its fourth Works On Paper NYC juried exhibition, from all artists around the world. The exhibition celebrates the range of media that paper can facilitate. From drawing, painting, printmaking to photography, paper is a varied, exciting and versatile medium. Artists whose submissions are selected will become part of a prestigious group exhibition in New York City, scheduled to open 26 February 2016 and will run through 20 March 2016. The exhibition will occupy two floors of the Jeffrey Leder Gallery, located in Long Island City. Eligible artworks should be ready to hang on wall, for example: pieces equipped with D-rings and wire, or mounted on sturdy substrate material equipped with a hanging system. All artwork submitted must be no larger than 3 feet in any direction, exclusive of frame. The entry fee is $40 for up to 5 images and $10 for each additional image.